Cleansing wipes both are and aren't a part of my regular beauty routine. I learned a long time ago that oil cleansers are really the best at dissolving makeup and heavy-duty grime, but they also require more rinsing and—gasp—EFFORT. Sometimes I just don't have the patience for that. Of course not all wipes are created equal... today I'll be reviewing the Purify Coconut Water Cleansing Wipes by Pacifica, which is perhaps one of the best-known natural beauty brands. "Clean skin is an absolute for anti-aging. Coconut water infused natural towelettes gently cleanse your face while removing toxins, oil, pollutants and make-up* from your skin without water. Papaya, a natural exfoliant, helps revive skin and remove dead cells. Aloe vera and calendula soothe and calm. These skin-loving wipes are an indispensable part of your daily routine for healthy skin. Anytime, anywhere. * These wipes can remove most make-up, but due to the fact that we do not use chemical solvents, they will not remove the most water-proof make-up. They are a great follow-up to using a make-up remover as they will remove the residue from your skin leaving it refreshed." I appreciate that Pacifica is honest enough to disclose that these wipes might not be sufficient for removing waterproof makeup on their own. Personally I would use a separate eye makeup remover anyway to avoid having to scrub my eyes hard, but maybe some folks don't do that. Each wipe measures 14.6cm by 20cm. They have a fairly standard texture—no knobbly bits or rough textures. It's worth noting that the wipes are biodegradable, whee! These wipes smell AMAZING. Like coconut ice cream. I want to eat my skin after I use them. They are adequately moist, and the closure is very secure, so they don't dry out as quickly as sadsauce wipes that just have a sticker over the opening. They are competitively priced—$6.00 for 30 wipes is as cheap (if not a bit cheaper) than other drugstore brands. They are 100% vegan-friendly and gluten-free, which is sort of a rarity in the drugstore beauty world. They're also free of phthalates, parabens and mineral oil, if you look out for those things. They are very strongly fragranced. I appreciate that the fragrance in Pacifica products is naturally derived, but it still could cause irritation if you have sensitive skin (or heck, just a sensitive nose). Pacifica wasn't kidding when they said the Purify wipes might not be able to remove some waterproof makeup. 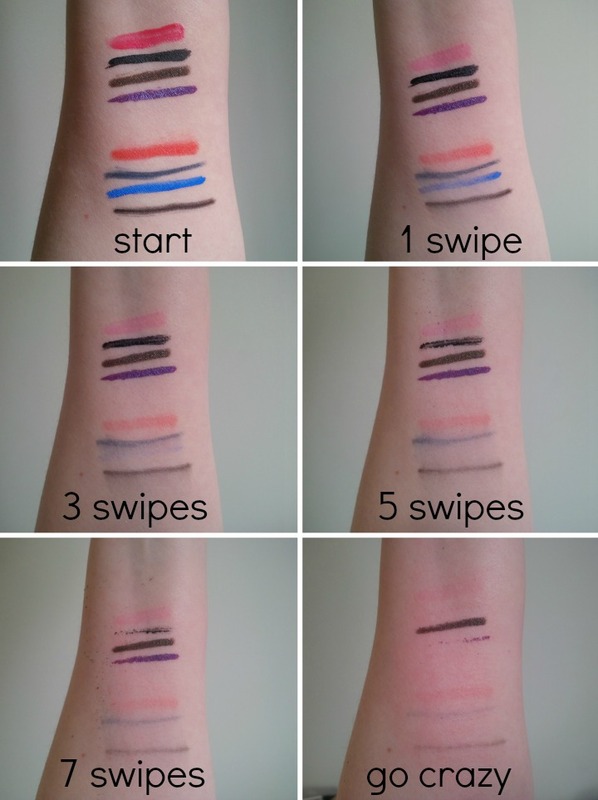 I did a removal test on my arm—counting the number of swipes until the swatches were completely removed. After seven swipes I went nuts and just started rubbing vigorously, because the waterproof swatches obviously weren't going to come off without a bit of scrubbing. I was disappointed to see that obvious remnants of the non-waterproof makeup lingered.... I guess a separate eye makeup remover is necessary even if you aren't using cosmetics that are totally weatherproof. I will say this: I thought the Purity wipes worked well to remove sunscreen and small amounts of face grime. Not as well as a proper liquid or bar cleanser, but better than water alone. My conclusion is that the Purify Coconut Water Cleansing Wipes are best suited to skin refreshing, not serious cleansing. Like I could imagine throwing a pack of them in my purse for freshening up on the go during a hot day—they smell so darn good! But if you're in need of serious cleansing power, look elsewhere. 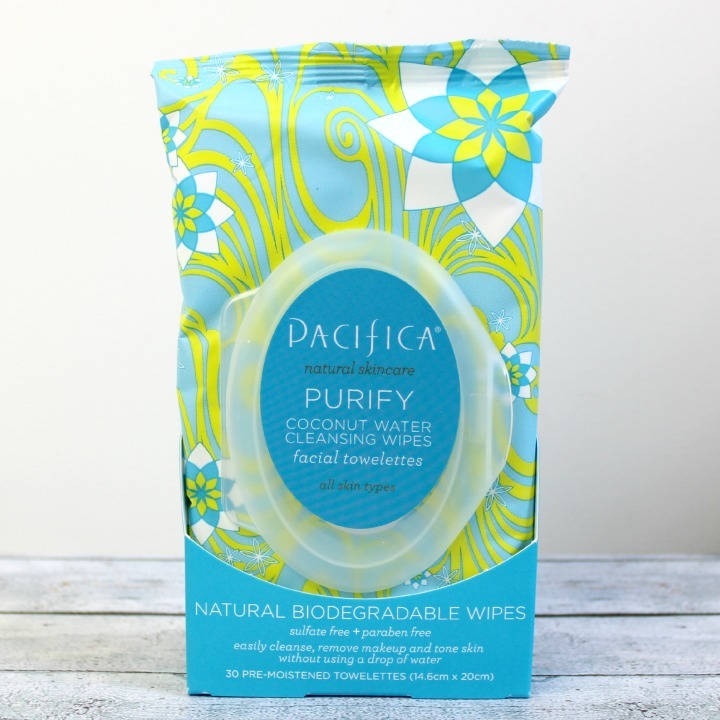 What do you think of Pacifica's Purify Coconut Water Cleansing Wipes? Do you use wipes in your beauty routine? Disclosure: The product featured in this post was provided to me for review purposes, however any opinions expressed above are honest and my own. I did not receive any other form of compensation. This post contains affiliate links. For more information, check out my full disclosure policy. Man, that packaging, though. So pretty and bright! 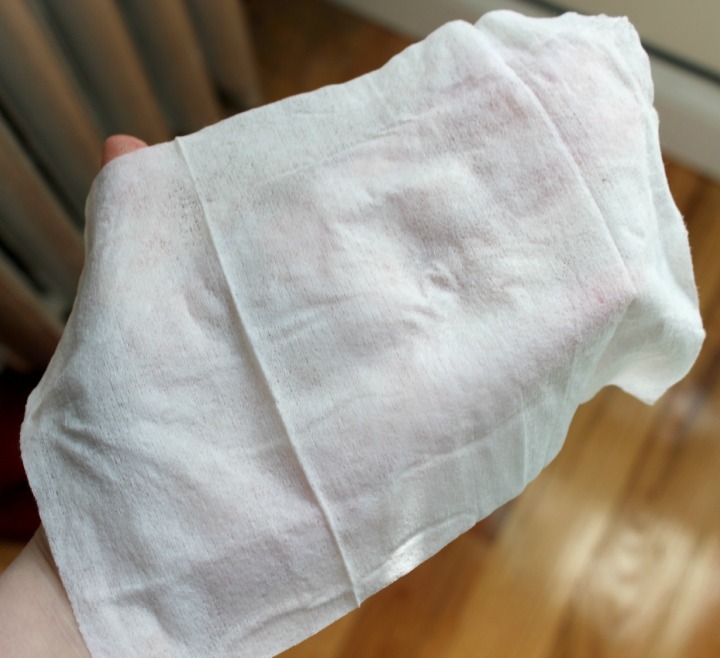 I think wipes like this are great for throwing in your bag (especially on summer days) for after a workout, a long walk, or a day at the beach. Love coconut scents! Aw what a shame. They sounded great but I def use some makeup that doesn't budge! Yeah, Pacifica really excels at pretty packaging. I want to buy their products just so I can look at them, lol. Same here. I find that eye makeup remover and/or oil works, but there are some wipes that can dissolve waterproof makeup at least somewhat. Bummer! I really like the Neutrogena wipes. I go through so many of them. Pacifica makes some great stuff, but I don't think I'll try these. Yeah, I really like Pacifica's scented body stuff, so I'm not surprised that these wipes smell so good. But better stick with the Neutrogena wipes for now if they're working for you! I use their Oil-Free Eye Makeup remover and it works like a dream.